Olivia Musgrave was born in Dublin in 1958. Her father is Irish and mother Greek. 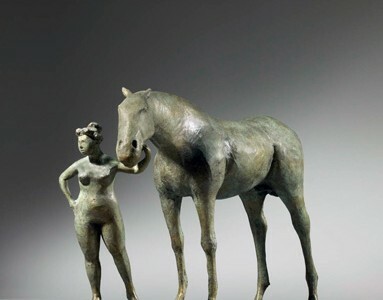 She studied sculpture at the City & Guilds of London under Allan Sly.Â Her work is drawn both from life and from the imagination where she draws inspiration from Greek mythology. 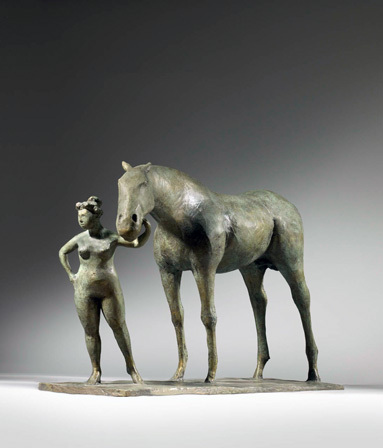 In artistic terms, Musgrave has been influenced by 20th Century Italian sculptors, including Marini, Martini, Greco and Manzu. 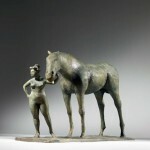 Alongside her personal work, she has completed a number of portrait and public commissions in bronze. She is a member of both the Royal Society of British Sculptors and the Society of Portrait Sculptors.Â Olivia Musgrave currently lives and works in London and Suffolk.